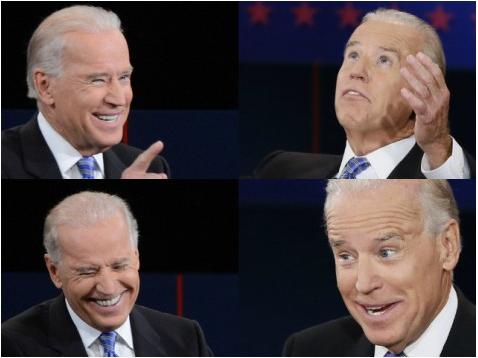 Many of us a suffering and Joe Biden thinks this is so funny. Joe looked like a clown in the debate plus the disrespect just oozed from him. Really Joe can’t have a civil discussion about the trouble this country is in and be serious about it. Even Piers Morgan ( no conservative) tweeted “Joe, seriously, STOP SMIRKING. This is serious stuff. Be Vice-Presidential.” Yes Joe serious stuff. But then again your the same person that said Republicans like Romney would put “ya’ll back in chains” Funny stuff. I was hoping for a good debate but what the public got was a dignified Ryan and good ole Joking Joe. The Truth In Chicago Shall Set You Free!